Louis Mauro took the oath as Associate Justice on August 25, 2010, and he was retained by the voters in the 2014 and 2018 general elections. 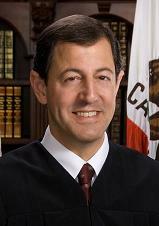 He previously served as a judge of the Sacramento Superior Court. Raised in San Luis Obispo, California, Justice Mauro received his undergraduate degree from the University of California at Santa Barbara and his law degree from the University of California at Davis. Following law school, Justice Mauro served in a clerkship with Justice Edward Panelli at the California Supreme Court, working as a staff attorney for the court. He then worked in private practice with the law firms Gibson, Dunn & Crutcher and Boutin Gibson before joining the California Department of Justice. He was eventually appointed Senior Assistant Attorney General, the statewide head of the Government Section at the Attorney General’s Office, where he was counsel to the State’s constitutional officers and the California courts. In 2006 he was appointed Chief Deputy Legal Affairs Secretary in the Governor’s Office, serving as a lawyer for the Governor and as a member of the Governor’s Senior Staff. Justice Mauro is regularly invited to speak on topics such as government, law and court technology, and his public service also includes participation on judicial branch committees. He chairs the Appellate Advisory Committee, the Joint Appellate Technology Subcommittee, and the Third District’s Technology Committee, and he serves as vice-chair of the Information Technology Advisory Committee. He is a member of the Appellate Court Security Committee and the Third District’s Mediation Committee. In addition, Justice Mauro serves on the Executive Committee of the Anthony M. Kennedy Inn of Court, working to promote ethics, civility, and professionalism in the legal profession.